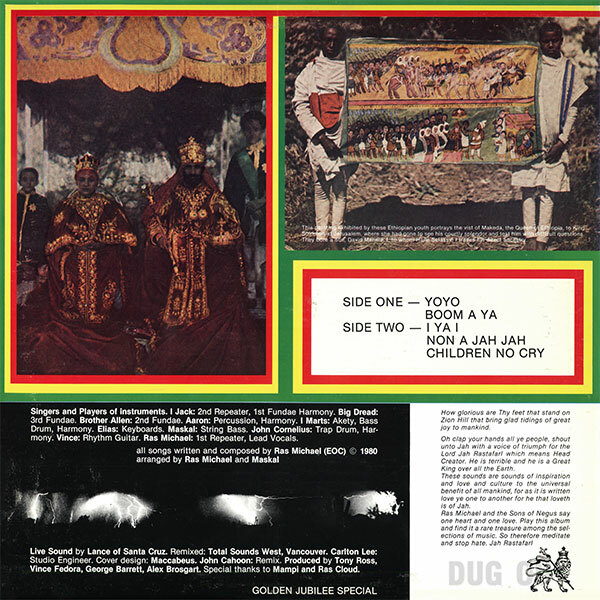 ‘Rockin live ruff and tuff’, this is the untrammelled counterpart to Dadawah, six years later in 1980, fresh from the Black Ark: free, rawly spiritual trance-music; a full-force nyabinghi freak-out. The drummers are headlong and rollicking, thunderous and explosive. Even more so than Dadawah, the mix is ecstatically echoey; giddily dubwise without let-up. 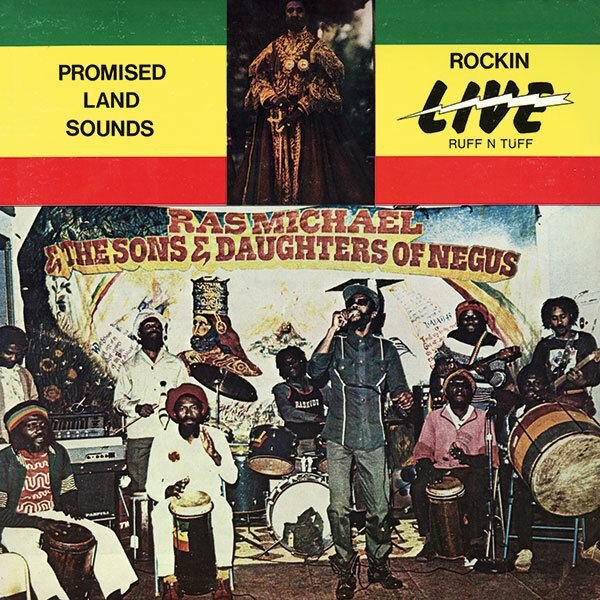 Ras Michael himself sings from the mountain-top, like he just don’t care — at the top of his lungs, in voices, screeching like a bird — with the delirious abandonment otherwise owned in reggae by Lee Perry. Amongst the uncredited performances swirled into proceedings, there are squiggles of flute straight from the Upsetters song-book, the minor-key organ stabs and abstraction of electric space-jazz, and sax-playing more attuned to the Headhunters than the Blazing Horns. (I Ya I in particular is a stunning fifteen minutes.) This is the real thing, music without affectation. Pure reggae. Sun Ra fans should love it; anyone with ears to hear.